 Joshua Garcia and Julia Barretto know all about being irresistible. In their newest commercial for Jollibee, the country’s leading fast-food brand, the popular love team delivers kilig once again alongside their favorite Yumburger. 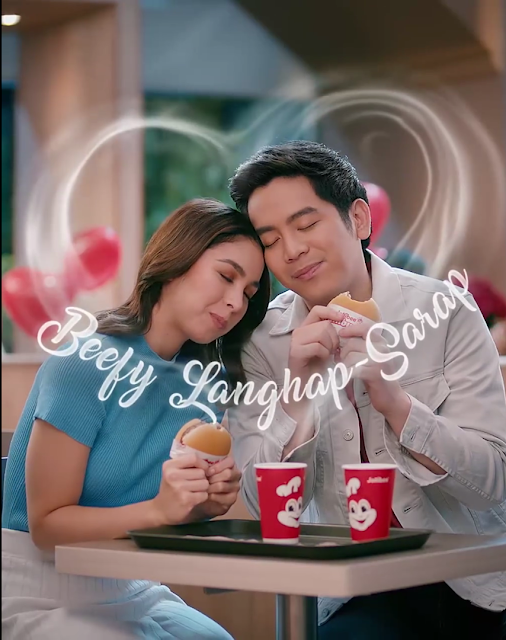 Playing to the irresistibly delicious aroma of Jollibee’s best-selling burger, Joshua uses a freshly cooked Yumburger to draw in Julia for a special date he prepared. 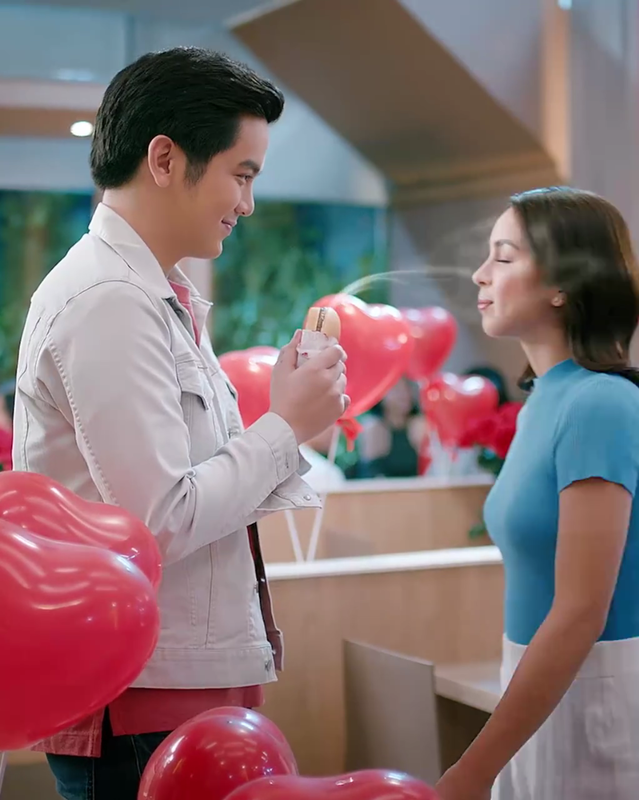 Guided by the mouthwatering scent wafting from the burger, Julia walks into a Jollibee store filled with rows of balloons and roses. The secret behind this time-tested, unmistakable aroma is the Yumburger patty which is made with 100% pure beef. Satisfyingly meaty and seasoned to suit the Pinoy palate, the Yumburger patty is carefully cooked to achieve beefy and savory flavors and aroma. With soft buns and a special burger dressing that complements the savory notes of the beef patty, the Yumburger delivers an incomparable experience with every bite. 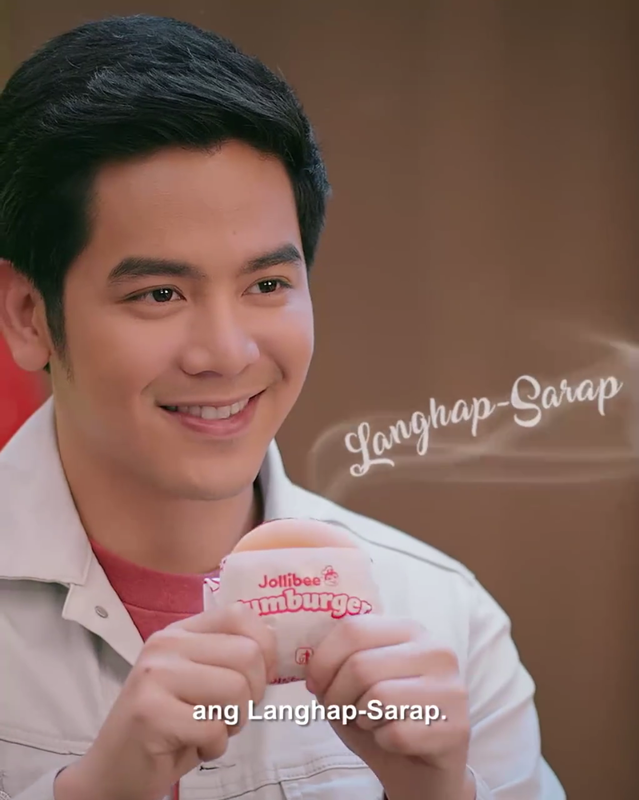 “I think this combination of a really masarap aroma and delicious ingredients have made Yumburger irresistible not only for me and Josh, but also for other burger-loving Filipinos,” added Julia. “Kaya nga sa commercial namin, ‘di agad napansin ni Julia ‘yung romantic decoration! Ganun din siya sa totoong buhay, basta masarap ang pagkain, ‘di na niya napapansin ang nasa paligid,” quipped Joshua. Indulge in the irresistibly beefy langhap-sarap Yumburger today—available in all Jollibee stores nationwide for dine-in, take-out, delivery, and drive-thru transactions. Prices start at P35.00 (Solo).